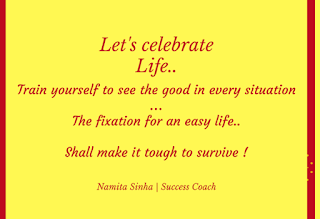 The Dove's Corner: #Daily wisdom ...The fixation for an easy life , shall make it tough to survive ! 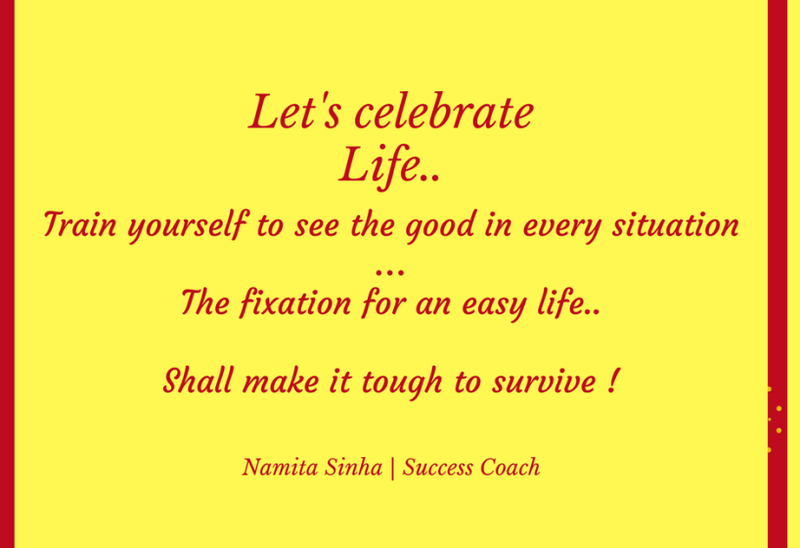 #Daily wisdom ...The fixation for an easy life , shall make it tough to survive ! The VUCA world and the erratic times demand us to be more and more in self love and in perfect sync with our larger purpose and vision. Its not about working out a stop gap arrangement for a specific situation, we need to develop the ability to see the endless possibilities, throughout our journey ! The fixation for an easy life , shall make it tough to survive ! Train your mind to see the Good in every situation !